Hinkley Point C nuclear power station site is seen near Bridgwater in Britain, September 14, 2016. What is the greatest challenge humanity faces in this nuclear age? How do we define security now, in the age of climate change, nuclear energy, and terrorism? How, as scientists, do we think about time and responsibility in a world with rapidly evolving nuclear technology? The truth is that most politicians, businessmen, engineers and nuclear physicists have no innate understanding of radiobiology and the way radiations induce cancer, congenital malformations and genetic diseases which are passed generation to generation. Low dose of ionizing radiation can increase the risk of longer term effects such as cancer. The effects of radiation dose are either prompt or delayed, prompt effects occur within the first several months and delayed effects occur over many years. The delayed effects include cancer and other diseases. 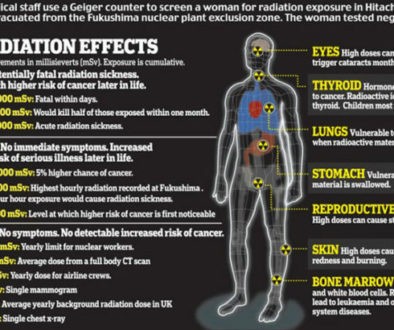 Risk estimate assume that even small amount of ionizing radiation pose some risk. No one knows for sure, what levels of radiation is safe? This question is of ongoing interest to scientists and researchers. In the nuclear arms race, government doctors and scientists brainwashed the public into believing low dose radiation is not harmful. Some officials even tried to convince people that “a little radiation is good for you.” Totally ignored is the knowledge that the radiation from nuclear fallout could lead to an increased risk of cancer, heart disease, neurological disorders, immune system disease, reproductive abnormalities, sterility, birth defects, and genetic mutations which could be passed on from generation to generations. According to former Professor of Medical Physics and Physiology at the University of California, Berkeley, Dr. Hardin B. Jones, it’s chemotherapy that kills people rather than cancer. Dr. Jones has extensively researched the life expectancy of cancer patients for more than 25 years, after he came to the conclusion that chemotherapy is more harmful than beneficial. All of that research, he conducted; lead him to believe that “leading edge” cancer treatment is a scam. Also, Dr. Jones is well aware that cancer is a billion dollar industry “People who refused chemotherapy treatment live on average 12 and a half years longer than people who are undergoing chemotherapy,” said Dr. Jones of his research, published in the New York. 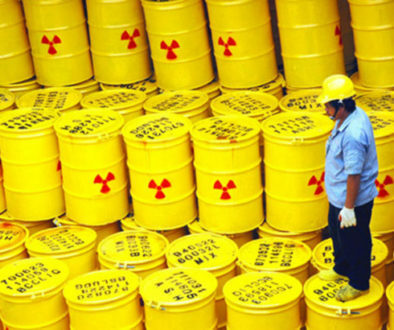 As of 2012, Canada had over 56,000 tons of highly radioactive nuclear waste and nowhere to put it. Perched on a remote stretch of coastline in north-west England is Europe’s most dangerous building. Inside the innocuous-sounding Product Finishing and Storage Facility at the Sellafield nuclear plant is enough plutonium for about 20,000 nuclear bombs. It is the world’s largest stockpile of civilian plutonium — one of the most toxic substances on the planet — accumulated from decades of reprocessing nuclear fuel from power stations not only in the UK but also Germany, France, Sweden and other countries. They must also decide whether it should be viewed as an asset or liability, is “sleepwalking” to disaster. The meltdowns at the Fukushima Daichi Power plant are dumping 300-400 tons of contaminated material into the Pacific Ocean every single day. With a half-life of 220,000 years that nuclear waste will continue to destroy the Pacific for just about ever. There was no nuclear bomb let of by the Russians it is a hoax!! The Iodine 131 is coming from Fukushima UNIMAGINABLE Nuclear Meltdown Being Covered Up! The Japanese Government teamed up with Toshiba to build robots that could help clean up the highly radioactive site of the Fukushima power plant meltdown. It turned out the robots couldn’t function in such high radiation levels: 600 Sievert per hour, which could kill a human being in about two minutes. Unfortunately, the “scorpions” didn’t get very far. Earlier this month, a “scorpion” robot that was sent inside the meltdown site malfunctioned after just two hours because of high radiation levels. A second “scorpion” was sent in just last week, only to meet a similar fate as its predecessor: the machine’s left crawler belt malfunctioned and the robot stopped working altogether. Tepco’s Fukushima No. 1 nuclear plant began operations in 1971 and was severely damaged by a deadly March 2011 earthquake and tsunami that killed over 15,000 people in Japan. The massive release of radiation forced the government to evacuate about 160,000 people and establish a 310-square mile exclusion zone deemed uninhabitable. Tepco has since embarked on an estimated $188 billion cleanup process that has included the treatment of contaminated water dumped on the site to prevent three out of six reactors from melting down completely. It is clear to us now that the radiation level in the containment vessel of the crippled Reactor 2 is much higher than experts had believed. The danger of Reactor 2 reminds the story of the potential collapse of Reactor 4 after the March 11, 2011, earthquake. That reactor contained 14,000 times the radiation of the Hiroshima bomb. Fumiya Tanabe, an expert on nuclear safety who analyzed the 1979 Three Mile Island nuclear accident in the United States, said the findings show that both the preparation for and the actual decommissioning process at the plant will likely prove much more difficult than expected. An official of the National Institute of Radiological Sciences said medical professionals have never considered dealing with this level of radiation in their work. Fukushima disaster is totally out of control. This is a nuclear war without a war. Fukushima radiation has contained entire Pacific Ocean, Radiation detected in Europe and radiation at Fukushima reactors uncontrollable. Nuclear scientists ran away and never came back and Fukushima nuclear facility is a TICKING TIME BOMB. If a terrorist group exploded just one dirty nuclear weapon, hundreds of thousands of people could die. Because there is no effective protection against nuclear terrorism, the only solution is to prevent terrorists from obtaining nuclear weapons, and the fissile materials needed to make them, in the first place. Nuclear reactors and nuclear weapons derive power through the fission (splitting) of nuclei of uranium or plutonium atoms, a process that releases large amounts of energy. These fissile materials are used for a variety of civil and military purposes. Enriching uranium is both technically difficult and expensive as it requires separating isotopes that have very similar chemical and physical properties. The enrichment process is thus the main barrier to producing uranium suitable for use in nuclear weapons. However, as sophisticated enrichment technology spreads around the world, more groups will be able to overcome the technical barriers to producing HEU for weapons. Moreover, the commercial enrichment facilities used to make LEU fuel for power reactors can be reconfigured to produce HEU for weapons. Without strong regulations in place, these dual-use facilities pose major risks of nuclear terrorism. In addition, the continued use of HEU for both civilian research and naval propulsion reactors increases the risk of terrorist access to this material. Plutonium occurs only in trace amounts in nature. It is produced as a matter of course in power reactors when the uranium-238 in reactor fuel absorbs neutrons. Countries producing plutonium for weapons have generally operated their reactors to maximize the production of plutonium-239—the isotope most useful for nuclear weapons—and to minimize the production of other plutonium isotopes such as plutonium-240. Weapon-grade plutonium contains less than 7 percent plutonium-240. 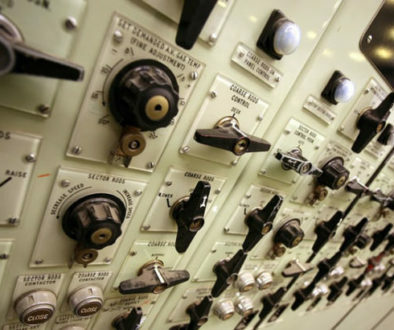 Under normal nuclear power plant operation, the plutonium in spent reactor fuel contains roughly 24 percent plutonium-240; such plutonium is often referred to as “reactor-grade.” However, essentially all isotopic mixtures of plutonium—including reactor-grade plutonium—can be used for nuclear weapons. In order to use plutonium in nuclear weapons or nuclear fuel, however, it must be separated from the rest of the spent fuel in a reprocessing facility. Plutonium separation is easier than uranium enrichment because it involves separating different elements rather than different isotopes of the same element, and it uses well known chemical separation techniques. However, since the spent fuel is highly radioactive, this process requires heavily shielded facilities with remote-handling equipment. In addition to lives and cancer threats there are huge amount of funds are required for uranium enrichment, transportation of enriched nuclear material, storage of nuclear materials, and fabrication of nuclear materials. Authorities defending peaceful use of nuclear energy and nuclear military deterrence are enjoying superior status along with financial benefits and repeated extensions in the name of nuclear safety and nuclear security at the cost of people all over the nuclear world. During the early years of nuclear testing it was anticipated that nuclear weapons would be used on the battlefield, and that the Army and Marine Corps had better get used to operating on a “nuclear battlefield.” During the 1952 Big Shot test, 1,700 ground troops took shelter in trenches just seven thousand yards from the thirty-three-kiloton explosion. After the test, the troops conducted a simulated assault that took them to within 160 meters of ground zero. This test and others like them led to increases in leukemia, prostate and nasal cancers among those that participated. U.S. nuclear testing ceased in 1992. In 2002, the Centers for Disease Control estimated that virtually every American that has lived since 1951 has been exposed to nuclear fallout, and that the cumulative effects of all nuclear testing by all nations could ultimately be responsible for up to eleven thousand deaths in the United States alone. The United States did indeed learn much about how to construct safe and reliable nuclear weapons, and their effects on human life and the environment. In doing so, however, it paid a terrible and tragic price. This fact sheet covers specific problems relating to nuclear threats and the steps the IAEA and United Nations should take to address them. United Nations and IAEA can effectively close the door to nuclear weapons of any kind By eliminating the production of HEU, and foregoing reprocessing technology to extract plutonium, They cannot produce any material to be used as a primary nuclear explosive .Nuclear World must be willing to accept far-reaching IAEA surveillance on all their nuclear facilities, including unannounced inspections by IAEA authorities. By imposing similar requirements on all nations, we could eliminate the production of nuclear material altogether. Then, when nuclear weapons are dismantled and the primary nuclear explosive materials are made inaccessible, a nuclear-weapons, nuclear energy and uranium ammunition free world would be within our grasp. Muhammad Riaz Pasha is a nuclear scientist and former advisor/technical consultant at Pakistan Atomic Energy Commission and is a member of International Advisory Council of Nuclear Emergency Action Alliance with 28 years experience in covering key issues of enrichment, nuclear energy and nuclear fusion energy.